Many people move into their dream homes without ever thinking that they may need emergency plumbing in the future. Yet, you can save you and your family a lot of time and money by already having one that you trust on hand. In order to find the right plumbing company for your residence or commercial property, you must know what to look for. Here are some tips on finding the best plumber. 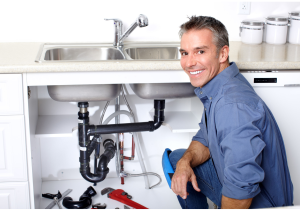 Knowing whether or not a potential plumbing company is insured is very important. Having liability and worker’s compensation insurance is a must just in case something goes wrong, while your plumbing needs are being handled. Even when dealing with trusted and experienced insurance companies, accidents can happen. For instance, if a professional comes into your home to replace an old pipe using a saw, and the saw somehow slips from his hand and cuts him, the damage to the individual could be severe enough to where the contractor has to take months off of work. Because of this, your home owner’s insurance may find themselves with a nasty lawsuit on their hands. Making sure the plumbing company is insured can help you avoid misfortunes like this. Does the Residential Plumbing Service Have the Appropriate License? Plumbing service company who hires individual contractors are responsible for making sure that their techs are well trained and educated in their field. By doing thorough research, and talking to others who have possibly dealt with the company before can help you confirm information. If you choose to go with an independent contractor, they as well should be able to provide proof of their education and training. What Does the Plumbing Service Charge For? Whether you need a commercial plumbing service or a residential plumbing service, most legitimate companies will give you a free estimate, but not all of them give you that option. However, if you come across a company that does charge, you just want to be sure that the charge for the estimate is a fair one by comparing estimate prices to those offered by other companies. When a residential or commercial plumbing company takes time to be apart of trade associations or the Better Business Bureau, you can almost be sure that they are serious about their reputation. You could view ratings on the web to determine what type of reputation the company has with its customers. However, information on the web is not always accurate. Asking for references gives you more of a clear idea how the company treats it’s customers, because most people are willing to share their experiences with businesses, especially if they provided outstanding service. Finding out how long the company has been in business can also be a big source of help, considering companies that have been around for awhile are often more trusted versus those that haven’t. Finding the right plumbing company for your plumbing needs can be stressful, but when you know what to look for and the right questions to ask, it makes the process a lot easier.